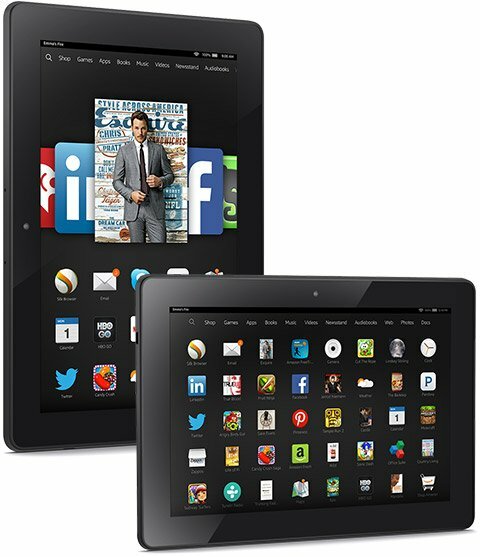 What's new with Amazon's Fire OS 4.0 "Sangria"? What’s new with Amazon’s Fire OS 4.0 “Sangria”? Amazon has just announced four new Fire tablets and along with them comes the next iteration ofFire OS, named “Sangria.” Sangria is based off of Android 4.4 KitKat but is coated with goodies and adjustments from Amazon. The user interface has seen some improvements, but what really makes this update interesting is the features that come packed with it. The most notable feature is the addition of profiles. With profiles, the tablet can be shared between multiple people with each one having their own account with personalized settings. Profiles can have different Twitter and Facebook accounts, settings configurations, games, email, and more. This will be extremely useful for parents whose children want to play on their tablets. Just make a profile for the kids that tailors the content specifially for them. Family Library is still in the works but it promises the ability to sync your family’s content across multiple devices. This way a family can share books, movies, and games without having to sign-in to different accounts or share the same device. Sangria also comes with ASAP (Advanced Streaming and Prediction) which is popular on Amazon Fire TV. This feature predicts which movies and television shows you will want to watch next and prepares instant playback for them before you even start watching. Smart Suspend is another very useful feature that promises to provide extended battery life. When the device is not in use, Smart Suspend turns wireless on and off to conserve battery. Amazon is touting that it can provide 25% more standby time which is quite impressive. A few other improvements include the addition of Firefly technology seen on the Fire Phone, the ability to edit Word, Excel and PowerPoint documents, and support for printing and Private Browsing Mode in the browser. Sangria focuses on tapping into Amazon cloud which allows a deeper cross-platform and cross-device syncing. Announcing Sangria along with four new Fire tablets was a good move by Amazon because they can show that Sangria is an operating system that is made for the whole family. You can read the entire press release here and check out the new line of tablets and Fire OS 4.0 “Sangria” here. What do you think of Sangria? Tell us in the comments!